Surveillance video shows the moments shots rang out blocks away from the Empire State Building, sending bystanders scurrying for cover and injuring three people. Police released the video Wednesday as they announced the identities of the two men they were searching for in connection with the shooting Sunday evening at 31st Street and Broadway. 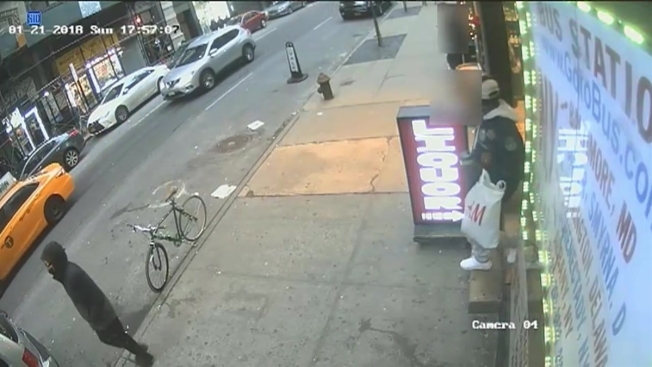 The NYPD released photos of Diouf Makhtar, 30, and Brian Johnson, 29, and said police were looking to question them. The shooting was sparked by an argument outside a liquor store, witnesses said. A gunman opened fire, hitting a 43-year-old man he’d been arguing with and two other men who were standing nearby, according to police. The video shows people suddenly scampering on a crowded sidewalk as a man in the distance opens fire with what appears to be a handgun. Several people run into nearby stores as one man, possibly a victim, drops to the ground. 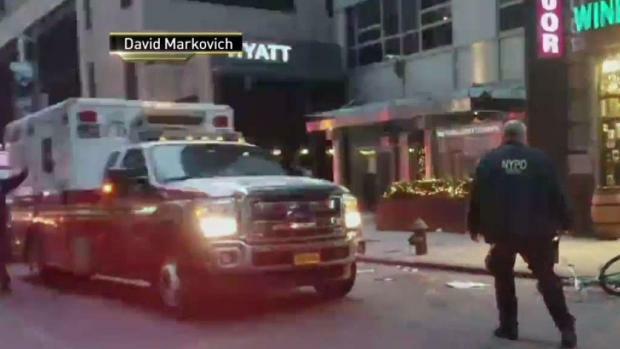 The three victims were taken to Bellevue Hospital. Police said they included the 43-year-old man who was shot in the right shoulder; a 25-year-old man who was shot in the left arm; and a 29-year-old man who was shot in the back. The gunman, who was with another man, took off after the shooting, according to police, who spent Sunday night searching the area for the two. Three men were shot just blocks away from the Empire State Building in Midtown, police say. Wale Aliyu reports.